CHICAGO—The situation involving Rashon Nelson and Donte Robinson, two Black men arrested at a Philadelphia Starbucks for behaving like any other coffee shop patron would, outraged many in the Black community already fed up with the racial bias presently faced in daily life. The question of what caused a White employee to call the police on the men who were in the establishment waiting to take a business meeting, and then detained, although not yet charged, for trespassing, has never been answered. 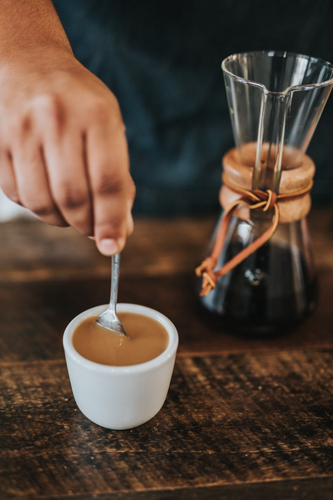 However, some good has come out of this situation, primarily the promotion of and continued push to support Black-owned businesses, especially coffee shops. 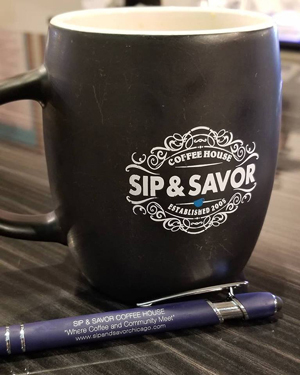 The sign outside of Sip & Savor reads, “Great Coffee. Great Conversation. Great Community.” Three ideals the establishment openly promotes to create a positive work environment for employees, a warm, cozy feel for patrons and, according to Mr. Pugh, serves as an incubator for other Black entrepreneurs who oftentimes conduct informal meetings there. 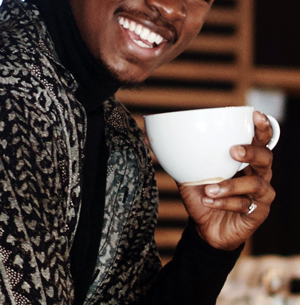 In the aftermath of the Starbucks debacle, a national boycott began and a list of 47 Black-owned coffee shops around the country—curated by the website Shoppe Black—was created to make Black consumers aware that they have alternatives to the national chain. The list was disseminated across multiple social media platforms, and quickly spread. 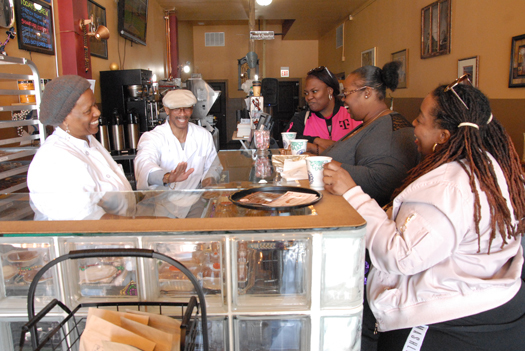 Some Black-owned coffee houses even noted a spike in business as a result. 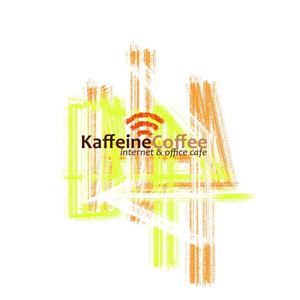 Kaffeine Coffee in Houston said sales increased as much as 40 percent after their business made the list. In Durham, N.C., Beyu Cafe also saw an increase in sales as a result of being named. All of this underscores that fact that Black people can and will support their own. Black spending power has long been a topic that not enough Black people pay attention to or even understand. In its report, “Black Dollars Matter: The Sales Impact of Black Consumers,” the Nielsen Company estimated that Black people in America collectively have a buying power of $1.2 trillion, despite representing just 14 percent of the American population. What’s more interesting is that Black people dictate what non-Black people decide to spend their money on. “Our research shows that Black consumer choices have a ‘cool factor’ that has created a halo effect, influencing not just consumers of color but the mainstream as well,” Cheryl Grace, Nielsen’s senior vice president of U.S. Strategic Community Alliances and Consumer Engagement, wrote in the report. Black people are a driving force economically, and could be an even more powerful force in various other ways by deciding to continue doing business with each other and keeping Black dollars circulating within the Black community, she said. “I push a rule I learned from a self-made Black millionaire, and it’s ‘buy from people who buy from you,’” Toure Muhammad said. “The Most Honorable Elijah Muhammad showed us the way. If you get a bunch of us together and we start doing business with each other, we will be able to survive regardless of what’s going on around us. Starbucks recently announced that all of its U.S. locations will be closed on May 29 so that the company can conduct anti-racial bias training for all of its employees, the boycott among Black people seems to still be going strong. Black coffee shop owners across the country should continue to benefit long after the controversy has moved off the national radar. Are there events that any interested can attend, or are your meetings and events strictly members only? Further, my toddler is approaching school age, and there seems to be no MUI in New Orleans for OUR children. Our Sunday, Wednesday and Friday meetings are open to the general public. There currently is not an MUI New Orleans at this time.